The nationwide house price index fell by 3.55% during 2018, in sharp contrast with the y-o-y rise of 5.7% in the previous year. Quarter-on-quarter, house prices dropped 0.19% during the latest quarter. House prices surged by 44% in the past 6 years. Analysis: Demand and supply falling. Homes sold in one- to two-dwelling buildings fell by 4.9% y-o-y to 52,299 units in 2018, after falling by 1.8% last year according to Statistics Sweden. In 2018, dwelling starts in newly constructed one- to two-dwelling buildings fell by 19.8% y-o-y to about 10,424 units. Likewise, dwelling completions also dropped 5.1% to 11,813 units over the same period. Rents, rental yields: yields figures are hard to get. Stockholm apartment costs are around €6,991 per sq. m.
Stockholm € 838,920 n.a. n.a. Recent news: The Swedish economy grew by about 2.3% last year, from annual growth rates of 2.1% in 2017, 2.7% in 2016, 4.5% in 2015 and 2.6% in 2014. 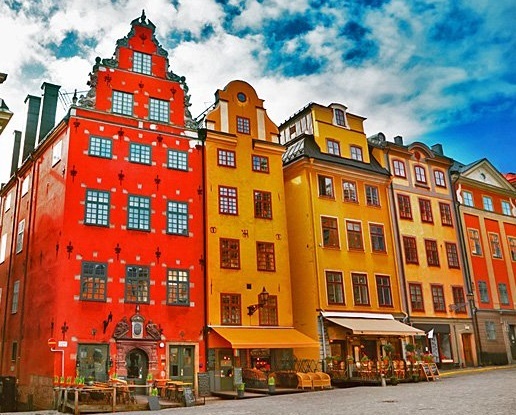 Recently, the National Institute of Economic Research revised downwards its 2019 growth projections for Sweden to just 1.3%, from an earlier forecast of 1.9%, amidst a decline in housing investment.